Hi friends, I’m Christy, and like most of you, I’m a woman with many roles that I balance every day! I’m a wife to my amazing husband of 16 years, a mom to two beautiful children (Emily, 13 & Caleb, 8), I’m also a sister, a daughter, an aunt, a friend, a housekeeper, a chef, a taxi driver and the list goes on & on… you get it right? So here I am, writing the “About Me” page on a website called ThePrayingMom. Super ironic because I don’t consider myself a great “praying” mom… and my guess is you don’t either. But I am a mom who is striving everyday to live my life with intention and raise my kids to love the Lord with all their hearts. I consider each day a new opportunity to learn & grow. 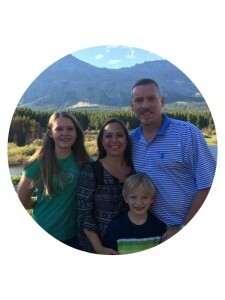 My prayer for our family is to thrive in the life that God has given us & to help others do the same. In 2008, I sent my daughter off to Kindergarten and into the great BIG world. That day, I sat down at my computer feeling alone & a little lost. As I laid my fears & worries before the Lord that day, He whispered so sweetly to me, “You may not have control, but I do, lay your burdens before me in prayer.” That day I felt that God was calling me to purchase a domain name. Odd, I know… I barely knew what a domain name was, much less how to purchase one and what to do with it. But that day, I was obedient and purchased the domain name ThePrayingMom.com. Fast forward 7 years and I am just now beginning to figure out what God has planned for this little space on the internet. In some ways, I feel as if I have been running from what God was calling me to do that day… but looking back I know that everything happens in His perfect timing. Not a bit of that 7 years was wasted. He has used those years to prepare me for the launch of this online community for moms who want to be intentional in their homes. We LOVE our Lord & Savior, Jesus Christ & we LOVE the way He loves us! We LOVE serving & investing in our local church & community. We LOVE adventures to all kind of places. We are always up for a trip – to the park or across the country. We LOVE good music. All kinds of music, we aren’t picky! We LOVE to read. It’s not uncommon to find us all somewhere in the house curled up with a book. My personal journey has been one riddled with fear and anxiety. I have spent too much time living in fear and missing out on the life God has for me! I have learned through this journey that God is a God of redemption. He is redeeming the time I lost to fear and anxiety and showing me glimpses of FREEDOM every day. 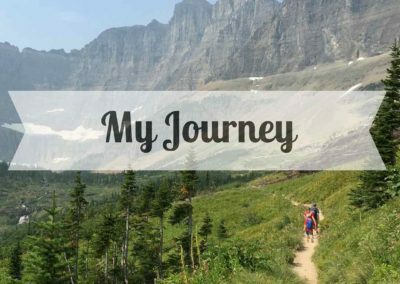 To read more about what God is teaching me, check out the “My Journey” section of the site. By nature, I am an information gatherer…at least that’s what my friends say, so the vision here is for this to be a “gathering place” of information & resources for you to access easily as you balance all the roles in your life. There are so many great organizations, websites, blogs, & resources out there for moms, but when do you have time to do the research? My prayer is this will become a place for you to find some answers, encouragement, and community as you journey through your busy days. Being intentional takes work and it takes a plan, but it’s so worth it. The results pay off every time, so dive in the content here and let’s start living with intention in every aspect of our lives!